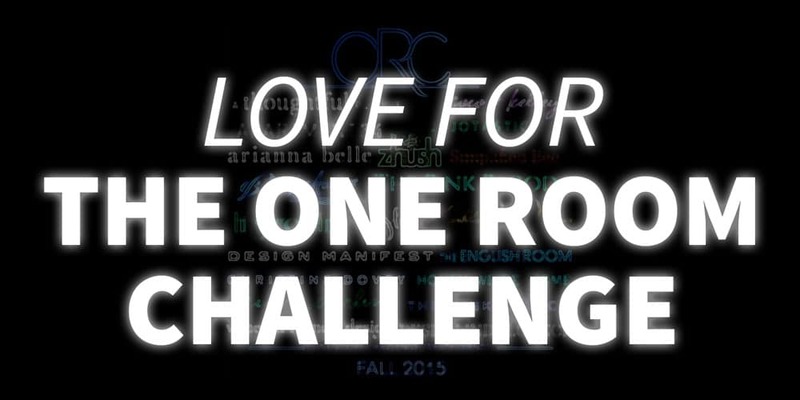 Twice a year designers and bloggers participate in a six-week challenge called the One Room Challenge. Check out my handy tips if you plan on participating! 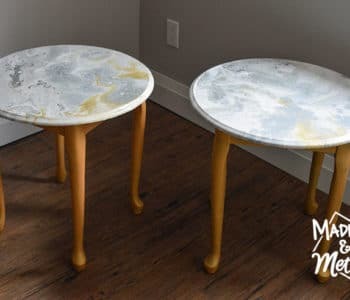 Do you read home design and DIY blogs? 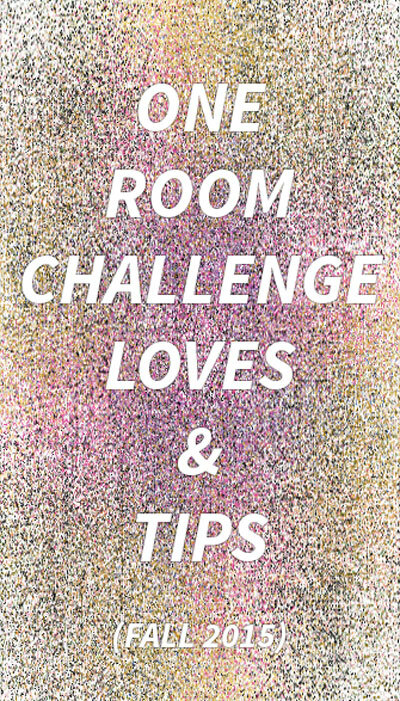 If so, then maybe you’ve heard about Calling It Home’s One Room Challenge event. Twice per year designers and bloggers participate in a six-week challenge to transform one room in their house (they choose it themselves). This year, there were close to 200 rooms renovated in the last six weeks, and I just spent the better half of two days looking at ALL of the rooms and would love to share my favourites with you today :) Oh, and I have some final thoughts and tips at the end – so be sure to check those out too! Let’s first start with a shout-out to all the blogs I follow who participated. I read each of their posts about the challenge since the starting of October, so I was rooting along with them to finalize their spaces in time. Pretty Practical Home – Girl’s Bedroom: This bed is amazing, and I love the red painted dresser too. It looks like a magazine bedroom! Vanessa Francis – Master Bedroom: She is actually one of the featured designers for the One Room Challenge, and this space was really nice. I like the added trim/mouldings around the room… and those hardwood floors are gorgeous! For these next two lists, I simply looked at their final reveals (and checked out the rooms before they started) and will highlight my favourites, and explain some reasons why. Coco + Kelley – Dressing Room: This room looks so comfortable, but I mostly love this one because the photography is amazing. And that chaise is from Ikea? I need it in my life! Design Indulgence – Living Room: The design style of the living room completely changed from more country to modern. Love the style AND they went the extra mile and painted the floors white. Hi Sugarplum! – Living Room: You guys, this is THE BEST room (in my opinion). It transformed completely from how it looked before, the colours are crazy awesome, and I even love (and want) the rug (and I hate rugs) so that has to count for something. This is almost exactly how I picture my future office and the blue built-ins are spot-on. This is why she is a featured designer! 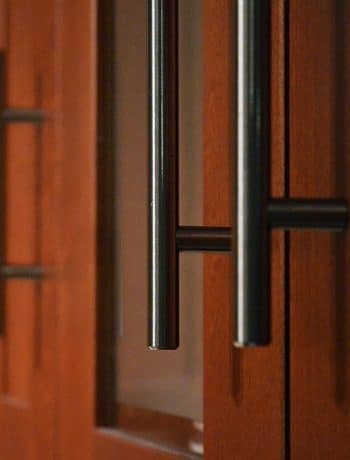 Design Manifest – City Condo: Umm, did they do an ENTIRE condo in 6-weeks and not just one room? Kudos to the insane amount of work that must have been, this is a totally modern space and everything flows so well together. The English Room – Living Room: Purple couch, yes please! I like that the before of this space can literally be anyone’s living room, like I’ve seen these rooms before – but now it’s a super custom room that is definitely unique. Honey We’re Home – Baby Girl Nursery: The custom built-ins around the window and the striped ceiling are what got me hooked to this space. You could easily swipe out the lavender artwork and rug to change up the space too if you wanted. All the designers (20) were chosen to participate ahead of time, and all of their reveals are here if you wanted to check them out. Sypsie Designs – Garage: This garage is crazy organized, and gorgeous! I want to know more about the floors, the mini-mudroom, the cabinets… everything! Two Little Limes – Garage: Another garage, and this one barely looks like one (especially the little nook with the fridge). Paper Daisy Designs – Master Bath: This room isn’t even done yet, but I don’t care. It’s amazing, and everything I wish my future bathroom can be, plus it was completely different before the renovation, so I have to say congrats because this space is going to be good. The Naked Decorator – Guest Bedroom: The bold rooms always get me! Those painted striped floors (black and white stripes are totally on trend) and matching closet are awesome. The Curated House – Living Room: I like this space and picture my brother’s living room looking like this one day (when I get around to doing it for him of course). The Pink Zipper – Bathroom: A clean, modern bathroom that was once part of a bedroom (seriously). I love big renovations! IBB Design – Girls’ Bedroom: This is like a magical room with secret spaces – and that bathroom is amazing too… and closet… and well can I just live here? My Love 2 Create – Boys’ Room: The feature wall is great, but what’s even better? Almost everything in this room was custom built. And removing the walls for the closet? Genius! Whaling City Cottage – Mudroom: This room came a long way, and there was some major renovation involved. The herringbone tiled floor is a show-stopper. Melinda Jennings Interiors – Dining Room: Hello bright pink room, costs less than 400$ you say!? I know the style may not be everyone’s cup of tea, but we all know I love me a pink room. White Dog Vintage – Master Bedroom: Super updated space from the bright blue it was before… but those floors? 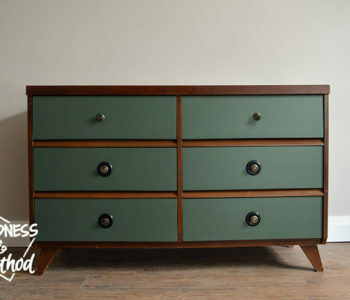 I think I need them in my life… and hello chunky white baseboards! The Divine Living Space – Multipurpose Room: The Pacman theme in this room is so cute and I like the space under the stairs too. Plus, this room started from practically nothing, so it has come a long way! Teal and Gray – Living Room: This space is so fresh and modern compared to how it looked before, but it’s also convincing me that I need a clear acrylic table too (and I don’t even like coffee tables). I like it Lovely – Nursery: Clear acrylic table and moulding feature on the wall? You know what I like don’t you! The Chipper Nest – Living Room: I like the barn board wall and added storage around the tv… plus the bright accent colours of course! My Sweet Savannah – Basement: The wood wall/reading nook are nice – but I like that this space has so much purpose now. Design Loves Detail – Playoom: Holy awesome room! And those soft marshmallows and tree trunks… adults can have them too right? Trailer Trash Treasure Trove – Boy’s Room: A star wars themed bedroom, I like all the custom additions to this room that really play up the theme. Refresh Living – Bathroom: Painting the cabinet was such a good decision, and I really like how the countertop was transformed (it’s not painted). The nice wood wall adds to the look and this room renovation cost less than 200$! Elle Bright Designs – Guest Room: The ceiling feature is very unique, and even though the country style isn’t normally my taste, everything flows nicely together here. Song that Doesn’t End – Playroom: Striped walls, bright colours, lot’s of personal touches – great space for kids! 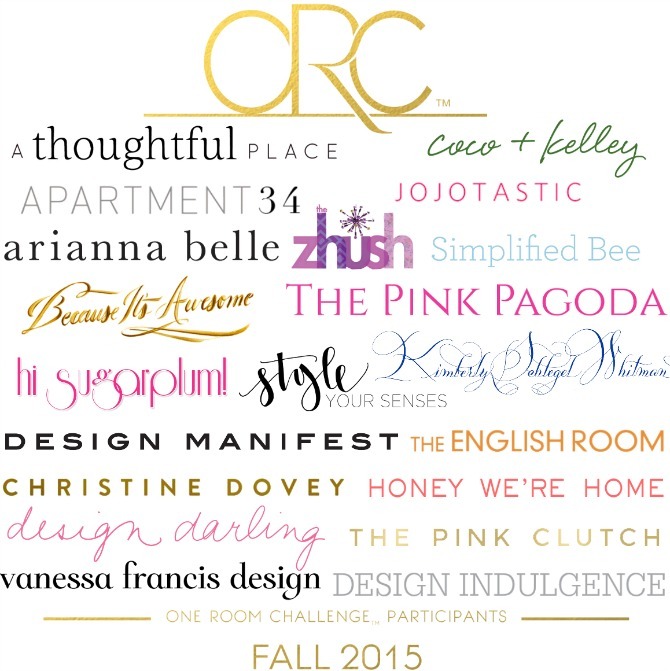 There were SO many bloggers that participated this year, it took a while to go through! At the time this post went up there were 140 who had linked their rooms, and you can see all of those links here. 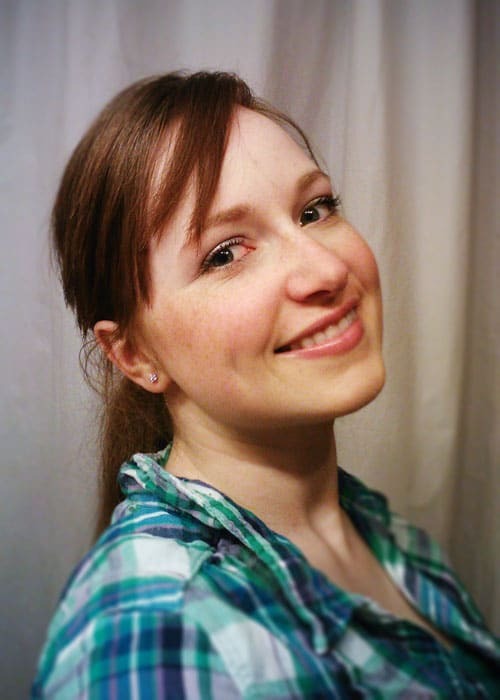 (Maybe you’ll see some influences from these blogs in future things I do!). I will keep checking back to the list of participants to see what rooms have been added. Oh, and there was another room that I liked too, but the link wasn’t working for me, so I didn’t include it here. Of the bloggers who didn’t finish, most cited not having a plan ahead of time. It takes a long time to come up with a room design, and assuming you can magically have your room designed in less than a week, you still have to buy stuff, maybe line up contractors, etc. Week One shouldn’t be the time you come up with your design, it should be an intro to the One Room Challenge, some before pictures, and maybe showing your (pre-planned) design plan at this point (or you can save it for week 2, but you should still have your design done anyways). Want a certain item that you can only buy online? Well order that baby early (maybe even before the challenge starts) so that it comes in when you need it. If you don’t finish in time, still show pictures of your room! Maybe I’m just too Type A and am used to having an exact outline of my projects before they start? I think it helps though, so that maybe if you’ve somehow finished your room ahead of time, you still have an idea of what you’re going to write about in the last couple of weeks. The work should be spread out evenly through the course of the six weeks too, so you haven’t overloaded the front half (or worst, the back-end of your timeline). WHICH BRINGS ME TO THE POINT OF THIS POST! 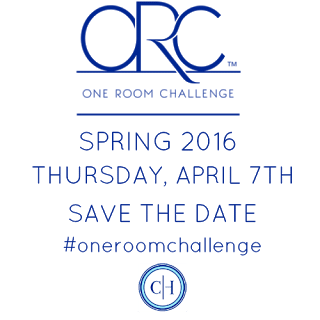 I will be participating in the Spring One Room Challenge this April (yay!). I knew I wanted to do the One Room Challenge, but October was just too tight a deadline for the project I wanted to tackle. I’ve already told/warned the Husband, and we’re going to need to plan some things out in January/February before the challenge starts (like apply for a building permit, which probably takes weeks, look at contractors and book them in, etc.). Oh, and there’s the whole save up money to pay for the renovation… but details, right? 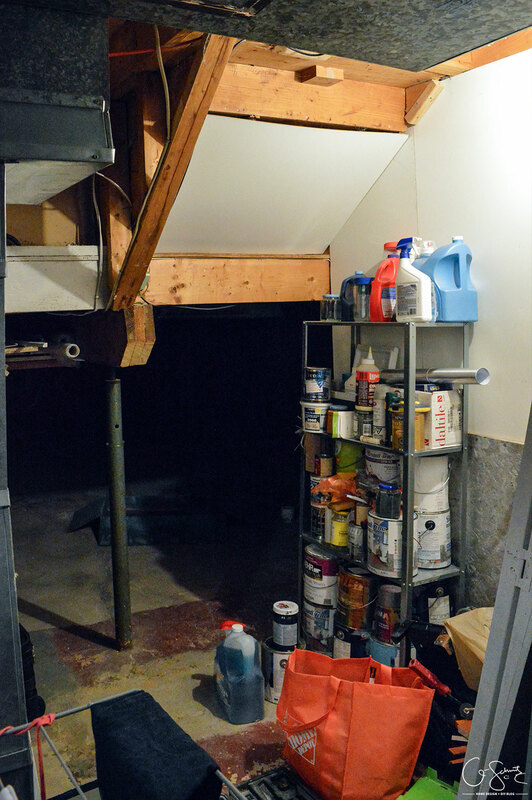 Right now it’s a small nook in our laundry room under the staircase that holds all my paint supplies. But at the end of the One Room Challenge in mid-May we will have transformed it into a half-bath for our basement. So yes, we will be doing all the plumbing, building, drywalling, tiling, painting, installing, etc. in six weeks. Which seems like a long enough time, but I’m also the crazy person who thought we could renovate a bathroom in a weekend. 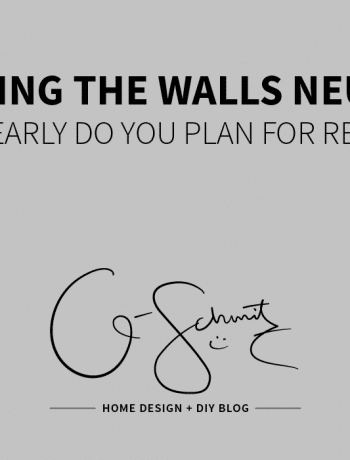 Painting the Walls Neutral: How Early do you Plan for Resale? Yes, I figured friends and family who visit would like that one! 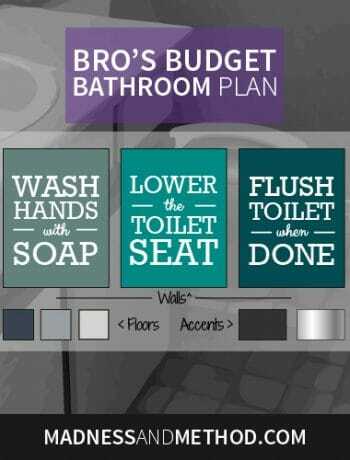 No problem :) I loved that you changed the layout of the rooms to better suit the flow of the house; and the design elements in the bathroom were spot on!